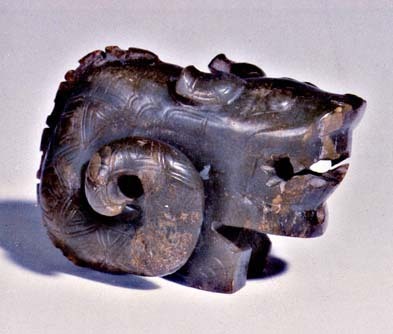 Jade has had symbolic value in Chinese culture since very early times, and has been found in many eastern Neolithic tombs, including Dawenkou. The process of shaping jade is both time and labor-intensive, leading Confucius (c. 500 B.C.) to compare the process to the cultivation of an educated person. In addition to being a symbol of luxury and wealth, jade is associated with the qualities of purity and refinement and is often believed to possess magical powers. The figure to the left is one of more than ten round or relief sculptures of human figures found in Fu Hao's tomb. The person wears a long robe with a wide sash at the waist and has a short braid at the back of the neck. What do you think of the pose of the figure? What are some possibilities for the tail-like projection? 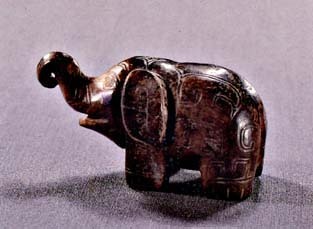 Many small jade ornaments in the shapes of animals were found in Fu Hao's tomb. Below are several examples. These combine an interest in three-dimensional form with an exploration of surface decoration. It is not clear if these were ornaments or served some other function. 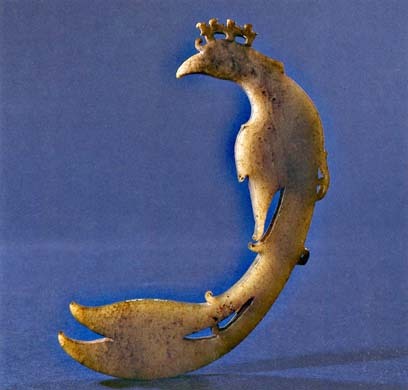 The pendant below is ingeniously carved so that the weight of the sweeping tail allows the creature to be vertically suspended with the head up. This jade was probably several hundred years old when Lady Hao acquired it. 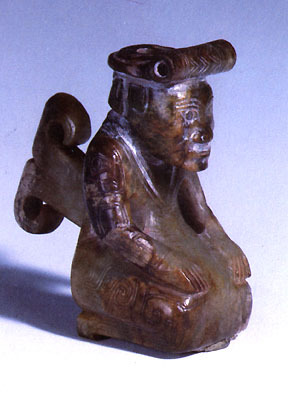 Members of the Shang elite often collected precious objects that had been transmitted from ancient times. Here and below are several small jade images of animals. 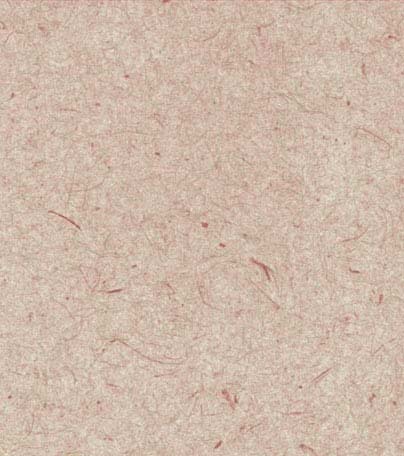 How does the surface decoration compare with the decoration of bronze vessels from Fu Hao's tomb? Can you tell from which part of its body the elephant might have been suspended? How do the two creatures below combine the real with the imaginary? 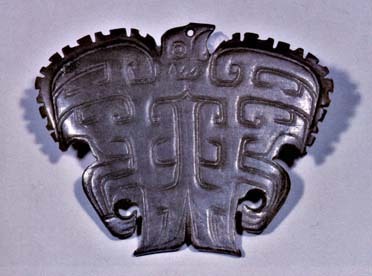 The jade pendant below is of a spread-winged hawk. One side shows the breast and abdomen, the other the spine. 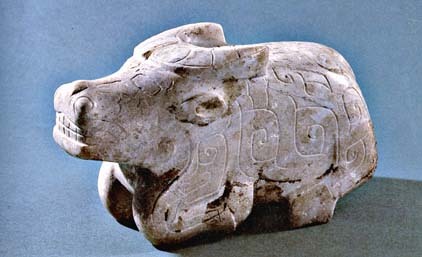 Compare the style of this stone ox to the jade animals above. How does the medium affect the style? 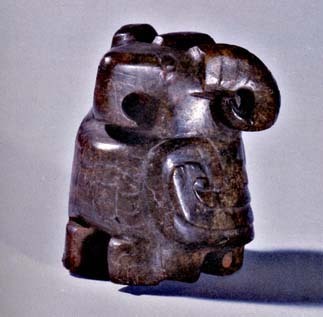 In what ways is it similar to or different from the jade animals?